Excerpt from the manuscript for November, by Dennis Johnson, 1959. I WAS WALKING DOWN THE HALL on the second floor of the music building at UCLA when I heard someone playing the Webern Variations for Piano. I was surprised that anyone in the UCLA music department knew who Webern was, so I opened the door and there was this young man sitting at the piano. He turned out to be Dennis Johnson, a new transfer to UCLA from Caltech. I had learned about Webern from Leonard Stein, Schoenberg’s disciple, with whom I was studying counterpoint and composition at that time, and I encouraged Dennis to take private lessons with him as well. This was the beginning of a long-term and very creative relationship with Dennis, who was without a doubt one of the most original and creative musicians I’ve ever met. At UCLA, Dennis was studying math. One day someone said to him, “Hey Dennis, why don’t you take the PhD exam?” Dennis said, “No, I’m not ready.” Still they talked him into it, and he went on to get the highest score anyone had ever received. Then he went to the Institute for Advanced Study in Princeton, New Jersey, which was good for us because he could come to New York City and visit every once in a while. I remember coming home to my apartment on Bank Street one day in early 1960 and finding Dennis in the bathtub, dressed entirely in red. I don’t even recall how he got in. At school I remember he told me that he’d sometimes stay in the music building overnight and sleep inside of the pianos so that people wouldn’t find him. He was very pure and had ideas about the presentation of music that I’d never thought about before. Music performed outdoors, for example, and moving around, interacting with the elements. Dennis loved the outdoors and told me that he once hung overnight on a rope suspended from some impossibly high precipice up on a mountain. He enjoyed discovering places in nature that probably no one else had ever seen, though he refused to tell people about them because he wanted others to have the experience of discovery that he had had. I introduced him to Terry Jennings, the only other musician who I thought shared a similarly singular vision. Dennis and Terry became good friends, and even rented a loft together in LA. Dennis, Terry, and I were very sentimental and considered ourselves the three romantics of our time. Sometimes Dennis refused to talk for two or three days after hearing some of my music, which would worry me, but eventually he said that he had been so deeply affected by the music that he didn’t want to ruin his mood by talking. 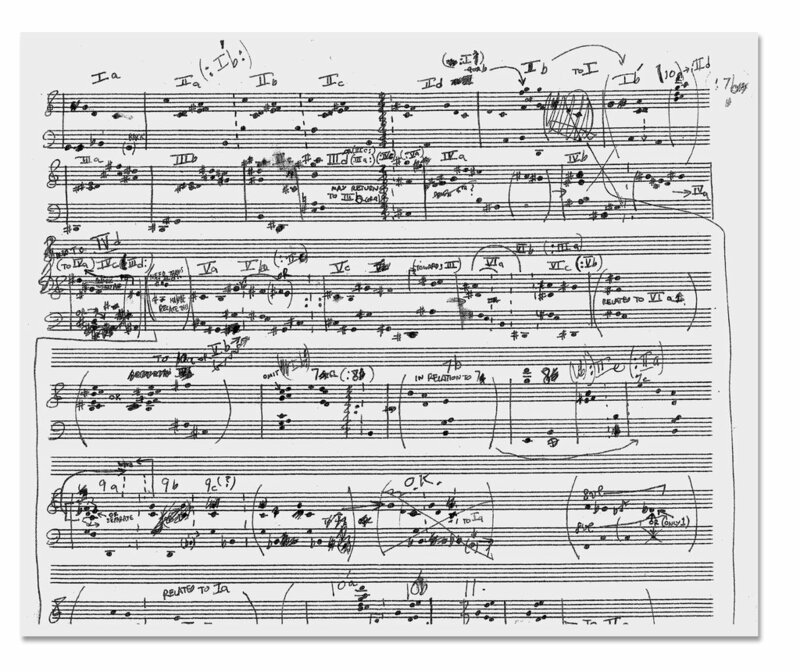 La Monte Young is a New York–based composer.